Solid oxide fuel cell (SOFC) vehicles are considered to have broad prospects for development, and the high operating temperature of SOFC results in great potential for waste-heat recovery. Many concepts for utilizing waste heat of SOFC have been suggested and studied, and most of them directly couple an SOFC to a gas turbine, which require the SOFC to operate at an elevated pressure and make the system less flexible and thus harder to operate. In recent years, with the development of turbine and heat exchanger technology, the supercritical carbon dioxide (S-CO2) power cycle has raised widespread attractions for the waste recovery. This study explores the potential of S-CO2 Brayton cycle to realize waste-heat recovery for an SOFC vehicle. The SOFC can operate at atmospheric pressure, and the hybrid system is easier to operate than the directly coupled systems. In this paper, a simple recuperated S-CO2 Brayton cycle is proposed and the key component, radial inflow turbine is designed and focused. The flow state of the designed turbine is analyzed in detail based on computational fluid dynamics (CFD) numerical simulation. Five cases with different impeller tip clearances are numerically simulated to study its influence on the turbine performance. 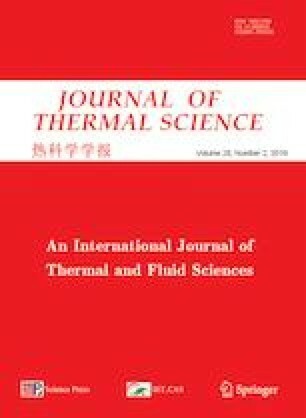 In addition, off-design performance analysis of the radial inflow turbine is conducted considering the temperature fluctuation of SOFC in practical applications.